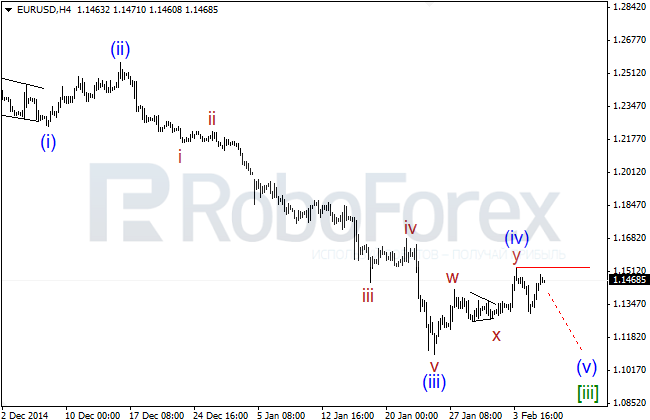 Probably, Euro has completed the first impulse i? inside a large wave (v) of [iii]. In the nearest future, the pair is expected to start forming wave iii of (v) of [iii] and test local minimums. Pullback inside ii? of (v) of [iii] was quite deep and right now the price is very close to its critical level at 1.1553. 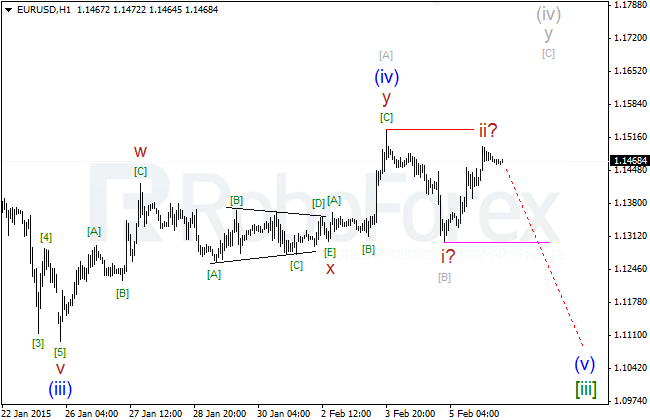 Most likely, the price will continue falling towards 1.09: this scenario will be confirmed after it breaks 1.1303. An alternative scenario (colored in gray) implies that the market has completed only wave [A] of y of (iv), which may be followed by one more ascending movement. However, this scenario is only possible after the pair breaks the critical level at 1.1533. 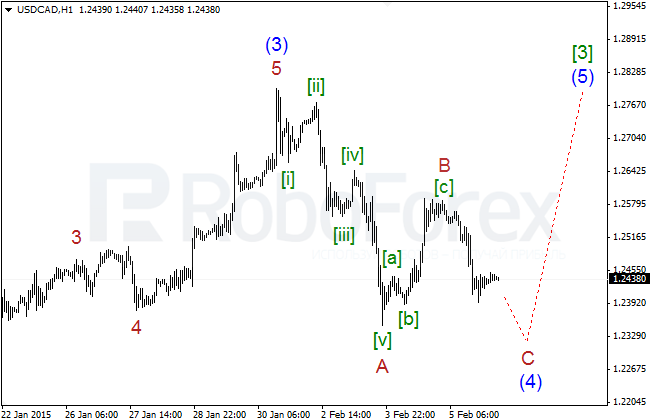 It looks like the price is finishing wave 4? of (1) in the form of zigzag with a bit extended “leg” [c] of 4 of (1). The pair has reached new local highs, which means that the scenario with wave [c] of 4 of (1) remains in effect. 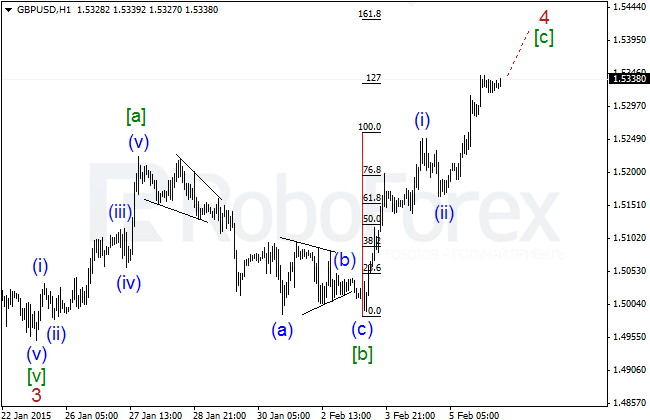 In the nearest future, the pair is expected to finish wave 4 of (1) near 1.5430 (161.8% of wave [a]) – 1.5535 (200% of wave [a]). Probably, the market has completed only the first impulse (i) of [c] so far. In the nearest future, the market may continue growing and finish the whole zigzag inside wave 4 of (1). Nothing has changed over the last 24 hours. The price is still moving between the critical level and the confirming one. The pair hasn’t broken the critical level yet, which means that the main scenario (breaking triangle upwards) is still in effect. Most probably, the price has completed wedge inside wave [i]? of 3 and then formed a correction. 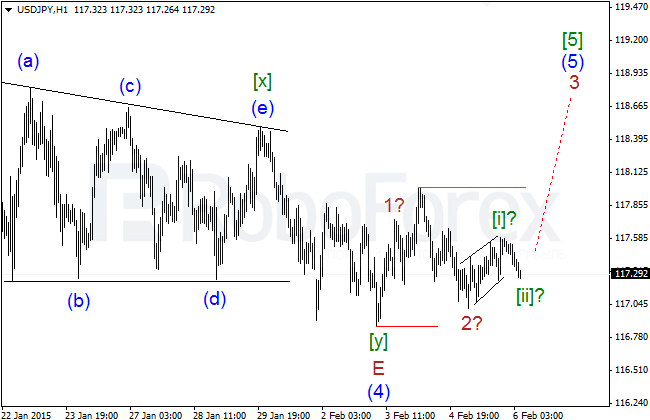 In the near term, the market is expected to move upwards and pass 120.0. 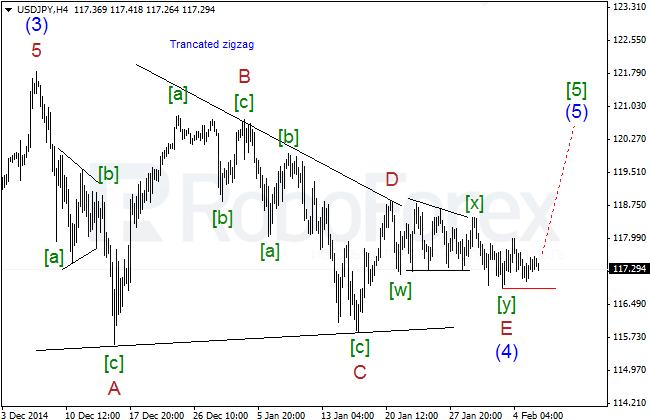 The market has almost completed zigzag inside wave (4) of . After reaching a new local low, the price is expected to continue moving upwards. So, most likely, the price has completed wave B? 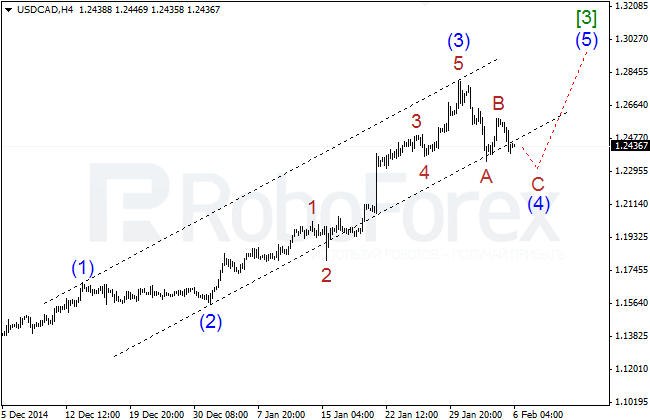 of (4) of , and right now continues falling and is about to finish zigzag inside wave (4) of . 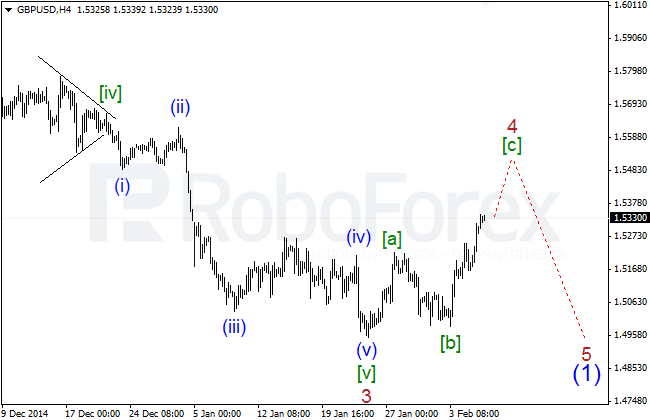 The target area for this correctional pattern is near 1.2315 (61.8% of wave A) – 1.2247 (76.8% of wave A).